Put on your fur-lined boots, zip up your coat and discover an exceptional place at an altitude of 6562 ft. (2000 m)! Take your hot chocolate to our terrace for the most beautiful view of Courchevel. Enjoy the fresh air with us! Located on the shores of the Biollay Lake at the heart of the Trois Vallées ski resort, our teams welcome you to a warm, mountain chalet-style establishment offering a magnificent view over the Saulire mountain range. Featuring 127 spacious rooms with balcony and wooden interior, the Mercure Courchevel hotel has 2 traditional restaurants, a bar, heated, outdoor, summer swimming pool and a convention center with 13 rooms equipped for the organization of events. توفر تقنية الألياف الضوئية أعلى سرعة ممكنة للاتصال بالإنترنت. 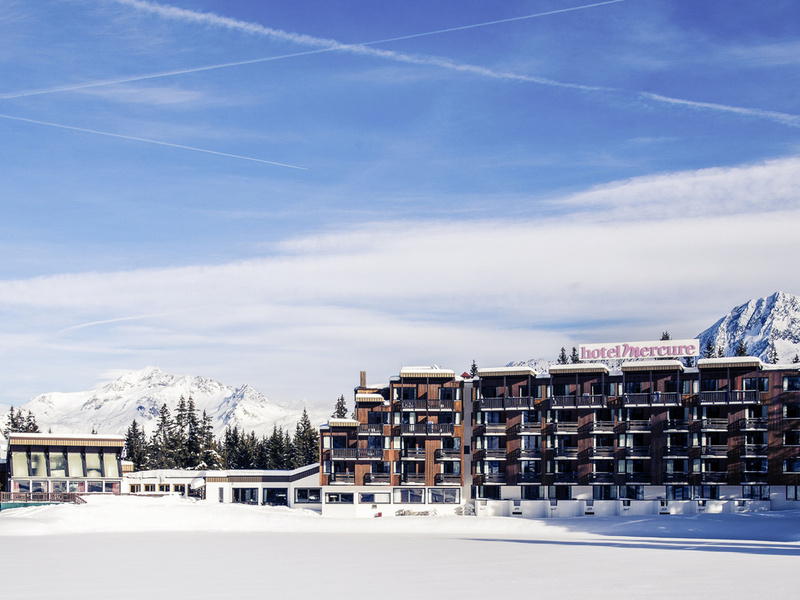 The Mercure Courchevel Hotel is currently closed. It reopens its doors for the winter season from 8 December 2018 to 14 April 2019. See us soon! Whether you're traveling with family or friends, stay in one of our alpine-style wood-paneled rooms, which can accommodate up to four people. The natural wood decoration & crackling of the large chimney provides the 410 with a warm, relaxing mountain atmosphere. Facing the discovery pool, it has a view of Lake Biollay & corner TV.